Jie was born and raised in China, where he got his MD degree and MBA certificate in hospital management. He practiced in Internal Medicine for 5 years, then he helped to establish a North American Medical Hospital in Hangzhou, China. 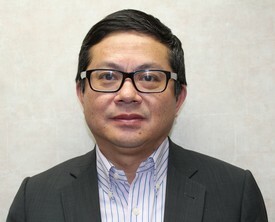 Jie has extensive experience in hospital administration, financial strategy and execution in health care, and computer science technology. He is actively involved in setting up this brand new dental office from the very beginning. His finance role in this office is evolving from a back-office function to a more strategic advisory role. He loves working with patients for their insurance information, financing plan, and coordination with treatment plan. Jie is the computer guy at home and at office. He loves to play table tennis with two children. Hi, my name is Ana and I was born in Los Angeles, CA. I've been in the dental field for 13 years. I've been doing insurance billing since 2008. I enjoy sharing my knowledge and experience in Front Desk, insurance billing and treatment coordinating at Dr. Lu's dental offices in Redlands and Chino. I will be happy to answer any questions to help you gain a healthy smile. On my free time I like to play and spend time with my 8-month-old son and also spend quality family time with my husband. Also, on my spare time I love doing crafting, baking and goodies. 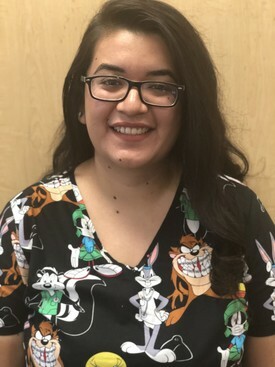 Hello my name is Diana; I graduated from UEI College in August of 2017, where i obtained my Dental Assistant certificate. I was born and raised in Redlands, CA where I live with my family. I find it enjoyable giving people confidence to show their smile again. When I'm not at work, I like to spend my spare time with my family and friends going to baseball games or to the movies. Hope to be working with you soon! I am from Venezuela (South America) and arrived to USA in August 2014, I have been working in the dental field for over 18 years. I enjoy working towards patients to improve their oral health. I was trained at UEI College in Riverside in the year 2015 and got Registered Dental Assistant certification afterwards. I have been working with Dr. Lu since November 2016. It is a pleasure to work in an office that offers state-of-art dentistry. My commitment to you is to help creating your beautiful smile. I live in Loma Linda with my mom and sister. In our spare time, we enjoy making road trips around California to get to know its wonders. 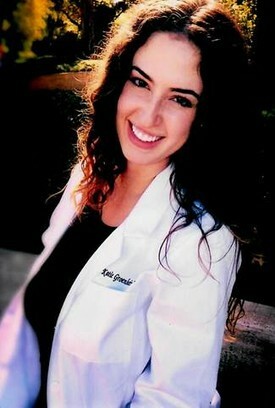 Hello my name is Olivia; I grew up in Mexico with my parents, which inspired me to also be part of the dental field. My dad is a root canal specialist, and my mother is a general dentist. I've been fascinated with dentistry my whole life and my journey started in 2012. I've been very passionate in helping others achieve a healthy and beautiful smile. On my spare time I enjoy doing ministry work and share my dental knowledge with others. I also like to spend quality time with my family and friends enjoying the outdoors. Ashton grew up in Redlands, CA. She attended the University of Redlands where she played collegiate volleyball and attained her Bachelor degree. Following the U of R, Ashton attended Loma Linda University and received her Bachelor of Science in Dental Hygiene. Ashton is passionate about encouraging her patients to achieve their best oral health environment. Her greatest desire is to make patients feel welcomed and encouraged to continue great oral health at home. Ashton enjoys playing sports, camping, practicing yoga, travelling, and spending time with her husband and puppy. 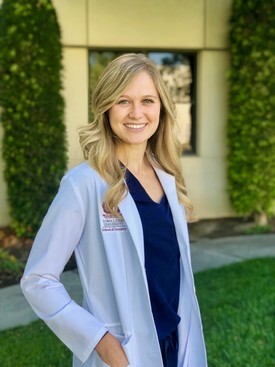 Katie has been in dental field since 2013 as a registered dental assistant and she then continues her career to become a registered dental hygienist. 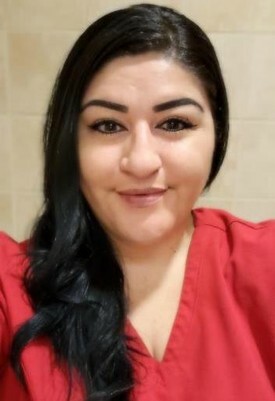 She treats every patient as her family member and always loves to educate her patients how to keep clean their teeth and gum at home while she cleans their teeth on her chair. 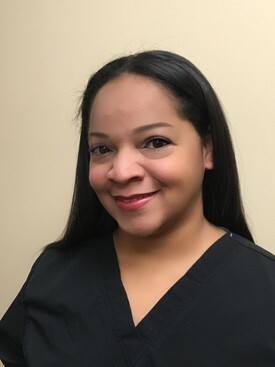 She enjoys helping people achieve their healthy smiles through her professional job as a dental hygienist. She enjoys working with Dr. Lu's dental team on Sundays. She lives in Ontario with her family and is getting married next year to her fiancé Jamie. Her hobbies include trying new types of foods, cooking, traveling, and working out at the gym with her fiancé.